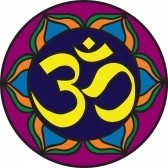 Finally I’m actually going to send my resonating love for yoga out to the interweb, the world, and beyond………. THE UNIVERSE~!!!!!@@@#! @ Although still managing to hold onto my day job, the pursuit of career in the study of yoga is truly starting to manifest. I want to transmit my teachings (from all my most amazing teachers) to everyone……. You, your brother, your brothers uncle, your roommates step sister, everyone. Bring on the skeptics, non believers, stiffies, YOGA IS FOR EVERYONE!!!! And i totally got a lil something to help anybody start to get into their body (yes most of us aren’t in our bodies). Am I crazy, well if you know me at all, you’d say yes. But this Craziness is a driving passion compelling me to share the gift of yoga! So follow me (for most likely some redik blogs), come practice (for some redik yoga), but most of all come and get to know yourself!